Robbie Sparks is the vocalist/guitarist in Rebel City Radio & Spaztic Robot is his first solo project. 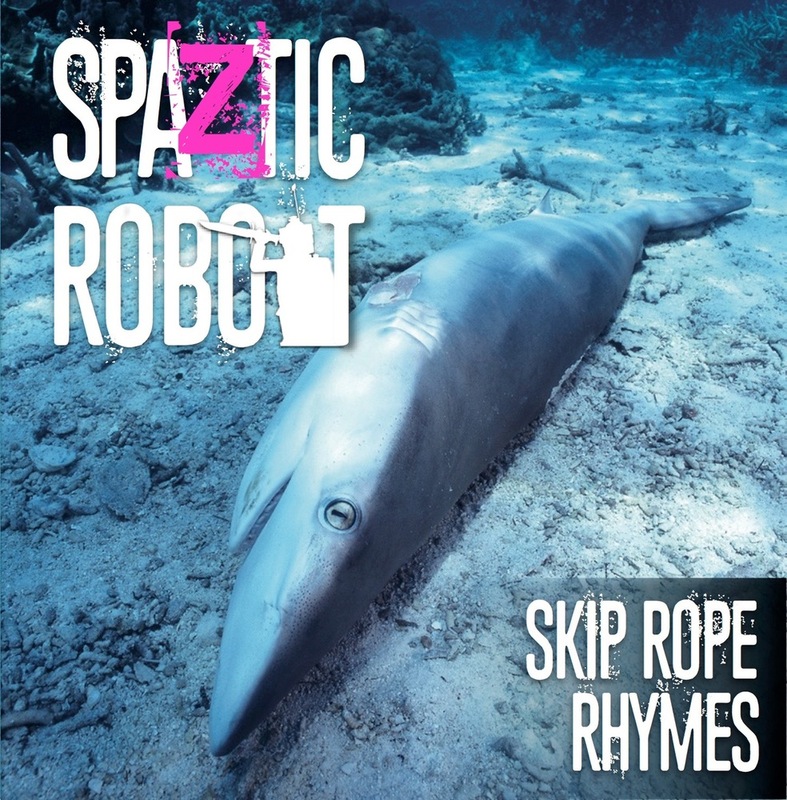 You can check out our review of the first Spaztic Robot album, Skip Rope Rhymes here. You can find out more & pick up the album on the official Spaztic Robot website. 1. Spaztic Robot is quite different from Rebel City Radio. What inspired you to create Skip Rope Rhymes? The Spaztic Robot project was something I’d considered for a while, but it wasn’t until the decision was taken to put Rebel City Radio on ice that I began seriously writing for it. The absence of RCR left a substantial hole in my evenings, and my laziness had finally ran out of excuses. I always felt that RCR was quite an aggressive band. We always tried to hold a melody but the whole point of those songs was to be direct and literal. I’ve always enjoyed words and as a writer, the opportunity to indulge myself within a project like Spaztic Robot where neither fact or fiction is of any greater relevance than the other, was hugely enriching. The shackles were off so to speak, and so I chose to write a bunch of, some might say cryptic, stories loosely based upon seemingly mundane ‘everyday life’, rather than the social commentary that occupied the lyric books of RCR. 2. What are your plans from here? Is this something you’d like to try in a live environment? There’s no definite plan if I’m honest. I’ve given myself an almost strict weekly timetable in which I have set times that I sit alone in a room and write, and thus far the results have more often than not shaped themselves into song form, which I suspect will spawn a future Spaztic Robot release. As far as performing the material live there have been a few interesting discussions about putting a spin on the traditional live gig, and turning the songs into a stage-show of sorts, but in reality it’s probably nothing more than pub talk. 3. Why did you choose Blue Oyster Cult’s Don’t Fear the Reaper to cover? It’s a beautiful song. There’s a shoe-gazing feel to the nursery rhyme-esq melodies that effortlessly intertwine with each other. The lyrics discreetly lend themselves to interpretation, and that interpretation could differ within the same individual at any given moment, depending upon their mood. For that reason it found it’s way onto the album. It’s the perfect skip rope rhyme. 4. How you do feel about the rise of streaming services/YouTube? Does this help or hinder your work? I’m not a fan of streaming services if I’m honest. Where as services like iTunes have been revolutionary in regards to independent artists selling their music globally (and not to mention the environmental benefits), Spotify (and similar) falls short. It’s filled a void that wasn’t there in the first place. It’s a middle man that feeds on the fruits from millions of monthly subscribers whilst shitting out the seeds, to be shared amongst the artists. We’d like to thank Robbie Sparks of Spaztic Robot/Rebel City Radio for the interview.